FedEx is a renowned American multinational company offering an extensive range of courier delivery and freight shipping services. It is headquartered in Memphis, TN but has locations all over the world, making it a preferred one for many. 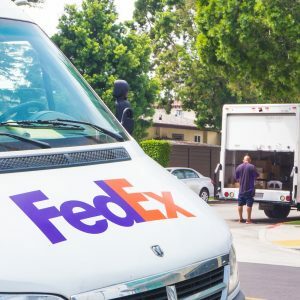 However, did you know that FedEx actually consists of several companies, including FedEx Express, FedEx Ground, FedEx Freight, and FedEx Custom Critical? The latter is of particular importance because this company is responsible for FedEx fine art shipping services. Thus, whether you need to ship fine art recently purchased at the auction or your treasured family heirloom, FedEx can be a good shipping option, provided that your artwork is properly packed for the long-distance move. As it has been already said, FedEx Custom Critical specializes in FedEx fine art shipping and delivery services. Transportation in such a case is provided door-to-door, without intermediate handling, which is crucial when you are shipping a valuable and/or highly fragile item. Besides, FedEx fine art shipping services are available 24/7 to meet any schedule, making them an excellent choice when time is of the essence. It is also worth noting that FedEx Custom Critical can handle any piece of art, be it a painting, sculpture, or any other artwork. The company can even arrange a multiple-stop exhibition tour that requires special trucks and equipment matched to meet the needs of the transported items. FedEx fine art shipping services are indeed a very good option to consider if you want your art pieces to arrive in perfect condition and on time!